Like almost every ShoeAdviser.com online, ShoeAdviser.com uses log files. The information in the log files contains IP addresses, browser type, ISP (Internet Service Provider), time and date, referring and exit pages, click trends (number of clicks), movement around the ShoeAdviser.com and demographic information. IP addresses stored are not linked to information that is personally identifiable. ShoeAdviser.com is a participant in the Amazon Services LLC Associates Program, an advertising program for affiliates, designed to provide advertising for Amazon via advertising fees and linking to the Amazon ShoeAdviser.coms. If required, you should consult the respective privacy policies of these third-party owners for further information of how to opt-out of certain practices. 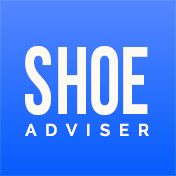 ShoeAdviser.com cannot apply or control the activity used by other advertisers on this site. If you wish to disable your cookies on your web browser, you may do so through your individual browser options. Instructions of how to do this will be present on the respective web browsers ShoeAdviser.coms.